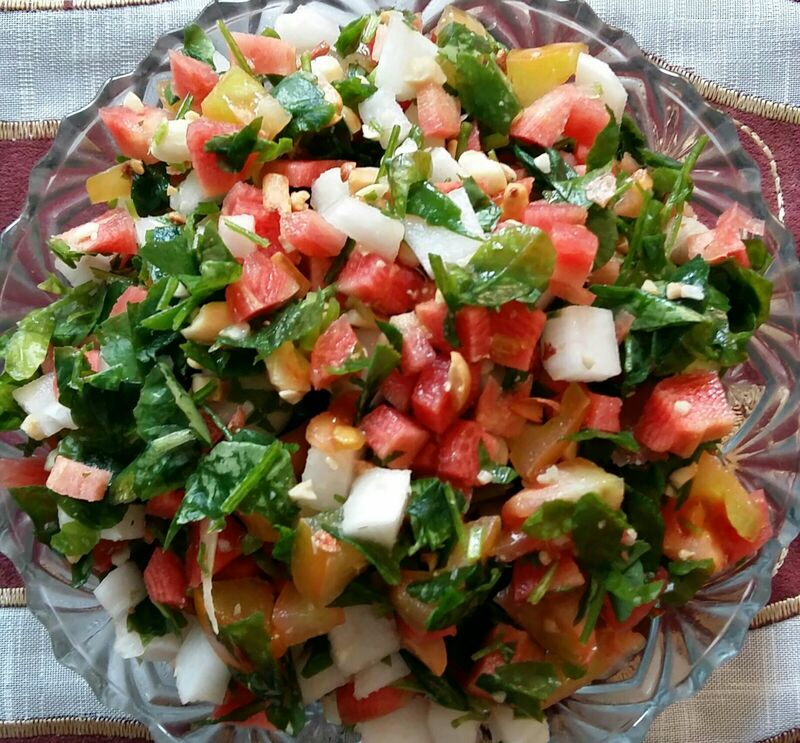 A healthy and tasty salad in which methi leaves don’t taste bitter. Try it, I bet you will enjoy it! Except salt and groundnuts, mix all the ingredients in a bowl. Just before serving, add salt and groundnuts. 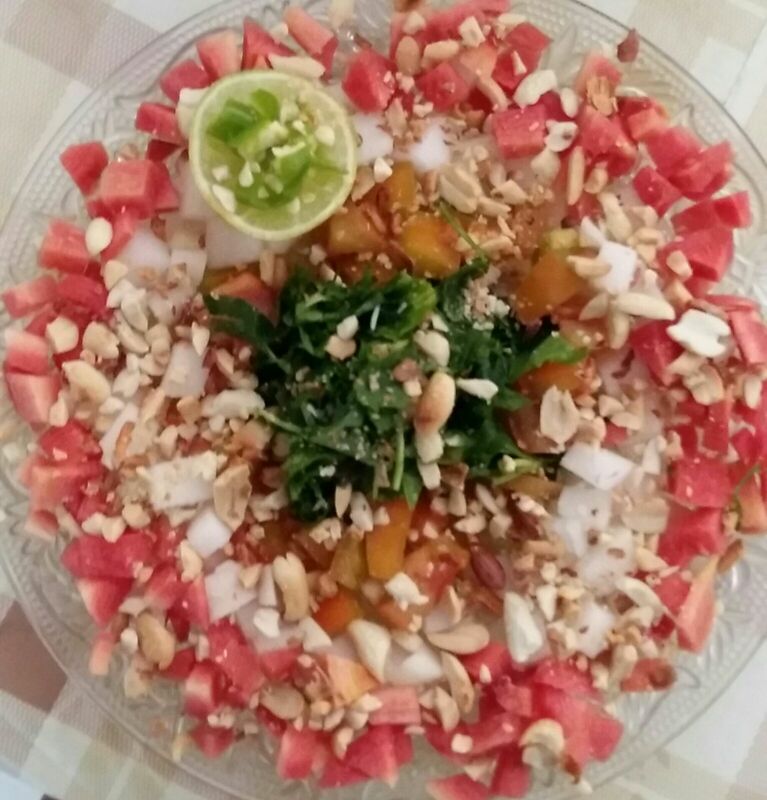 Groundnuts add a delicious crunch to this salad. We should always eat fresh salads only. Avoid eating any leftover salads. People suffering from high blood pressure should avoid salt in salads.